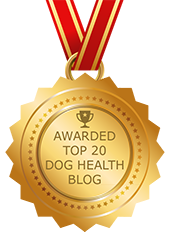 ACL Injuries in Dogs and Stem Cell Regenerative Therapy | Dawg Business: It's Your Dog's Health! Jasmine, our female Rottweiler, was five and a half years old when, after persistent lameness, she was diagnosed with bilateral ACL injuries. It was found that she had a partial ACL tear in her left knee and a partial tear or a stretched ligament in her right knee. The suggested solution, a TPLO to repair her lame leg, with a prognosis for a second surgery on the right knee in six months time, was quite a blow. This would add up to two invasive surgeries and a total of one year of recovery. On a quest to find an alternative, we looked into all other options. (See Talk To Me About ACL Injuries). During our research, we came across information about stem cell regenerative therapy for dogs. We found that stem cell regenerative therapy has been used to treat tendon, ligament, and joint injuries in horses and that it is available for dogs also. We decided to pursue this. Unfortunately, a couple days before our stem cell treatment consultation, Jasmine's ACL tore completely, and a non-surgical solution was no longer an option. Our final decision was an extracapsular repair for the torn ACL, combined with the stem cell therapy to assist the post-op recovery, and to see if it can save the right knee. The healing effect on the operated leg turned out remarkable. The right leg was also looking good, and three months after surgery Jasmine had a bounce back in her step. And then the ligament in the right knee went. It was a big disappointment. Back to surgery and back to rehab. Fortunately, though, her left leg was already stable enough to provide full support. That's why we decided to combine the second surgery with the stem cell treatment again. Another three months later, Jasmine was bouncing along and enjoying her life yet again. The stem cell regenerative therapy is showing great results in the treatment of arthritis, and many other conditions. However, it was not able to save Jasmine's ligament. I believe this happened for several reasons. Stem cell treatment is a regenerative therapy that works with and enhances the body's own healing process. Different tissues have different ability to heal and regenerate. Bones and muscles, for example, have a very good capacity for healing. Ligaments, on the other hand, heal poorly. They are subjected to a great deal of stress, and their blood supply is relatively low. I believe that Jasmine's ACL might have been partially torn or stretched in the past, but went undiagnosed by the vets at the time and didn't heal properly which left the ligaments weakened already. I think that the ligament in the right knee was likely stretched, and proper healing of a stretched ligament seems to be less likely than in a ligament partially torn. Jasmine's body was dealing with a number of additional health challenges. We are very excited about the stem cell regenerative therapy. It provided Jasmine with great assistance with her post-op recovery and with her arthritis. Even though it didn't save her right ACL, if we could go back in time we wouldn't have done anything differently. The results of using stem cell therapy for ACL injuries seem to be mixed and depend on the individual dog, the type and degree of the ACL injury and the underlying cause. Stem cell regenerative therapy can work for partial ACL tears, but the results depend on a number of variables. There are reported cases where stem cell therapy worked. When the veterinarian does a full evaluation of the cruciate ligament by MRI or arthroscopy, they can tell how bad is the tear. Some veterinarians then decide to use stem cells in smaller injuries instead of surgery and others will add it to the surgery to help in the healing. Consult with a veterinarian you trust. Ask for him to discuss your individual case directly with VetStem. Note: VetStem technology is using adult stem cells extracted from the patient's own fat tissue. No embryonic stem cells are used in this procedure. Stem Cells for Dogs? Oh yeah, baby. Jana...what a great story! You did exactly the right thing in selecting surgery with a major tear in the ligament. And the stem cells do really improve the healing when combined with the proper surgery. A number of veterinarians are now considering using the stem cells in the "normal-appearing" opposite knee when a knee surgery is done, this to help repair the damage that probably already exists in the opposite "normal-appearing" knee. I believe the statistic is that more than 1/3 of dogs will have a problem with the opposite knee with 1-2 years. Glad Jasmine is doing well. Hi Bob! Thank you for reading and for your comment! Yes, whether the second ligament might also tear depends on the true cause of the injury. If the injury was a major trauma to an otherwise healthy ligament, then the other leg will remain fine. More often than not though, the ACL tear is a result of an ongoing degenerative process, rather than a one time injury. In that case, it's only question of time before the other ligament goes as well. 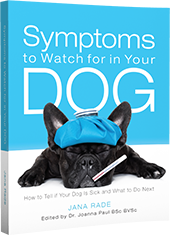 This seems to be particularly true for dogs who are overweight, but also dogs with untreated conditions such as hypothyroid or other metabolic disorders. There have already been hundreds of protests going on against humans, I wonder what they will do to dogs. There aren't any protests against the Vet-Stem stem cell regenerative therapy, and I don't see a reason why they would be. Here is why. The Vet-Stem technology is not using embryonic stem cells, but adult stem cells extracted from the fat tissue of the patient. To understand this technology please read my article Stem Cells for Dogs? Hi. Yes, in Jasmine's case it didn't help. It depends on the type and extent of the injury. Since by the time it got to it her left knee had a full tear and required surgery, it was worth of try to see if the right knee can be saved. Otherwise detailed evaluation of the injury needs to be made to determine whether or not the therapy would help. For best results full evaluation of the cruciate ligament by MRI or arthroscopy is recommended. Stem cell therapy has been successfully used for treatment of ligament injuries in dogs and horses, but it depends on the injury and ligament. Crucial ligaments heal poorly. I think it is best for you to get thorough evaluation of the ligament and then have your vet consult with vet-stem. There are so many cases where the regular mode of treatment seems to be insufficient so at that case research is always open for the right alternate, and in this regard it is the stem cell therapy that is doing amazingly well. Thank you very much.